LANGLEY — It started out as the worst of times, it finished as the best of times. 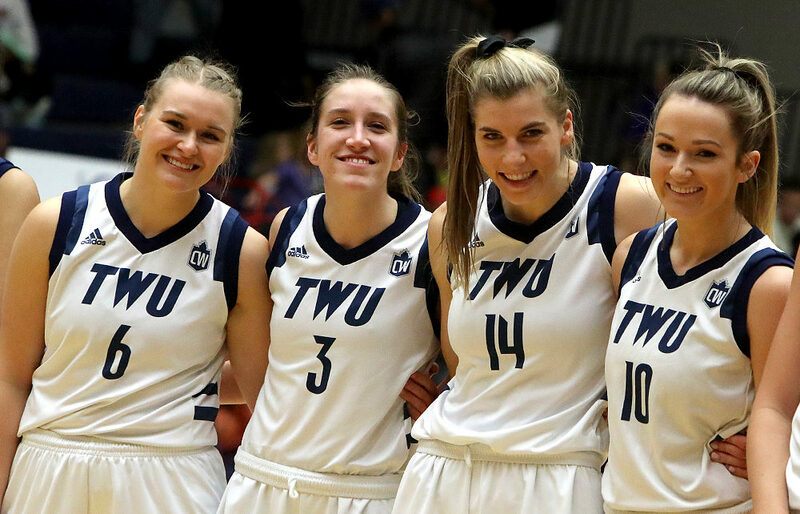 And now, after closing out their Canada West regular schedule with a game that serves as the perfect microcosm of their maddeningly inconsistent campaign, have the Trinity Western Spartans women’s basketball team shown enough to suggest that the playoffs can indeed be a brand-new season? On Friday (7 p.m.), the Spartans (12-8) take to the floor of the Langley Events Centre in a single-game sudden-elimination setting as the No. 8 seed preparing to host a dangerous, rebound-hungry pack of ninth-seeded UNBC Timberwolves (11-9) from Prince George. It’s a game with a pick ‘em feel to it, yet from the TWU perspective, it comes on the heels of this past Saturday’s decisive 75-57 Seniors Night win over the visiting Fraser Valley Cascades, a regular season finale that started ugly, yet somehow managed to tie together all the loose ends which had haunted the team over the second half of the season. 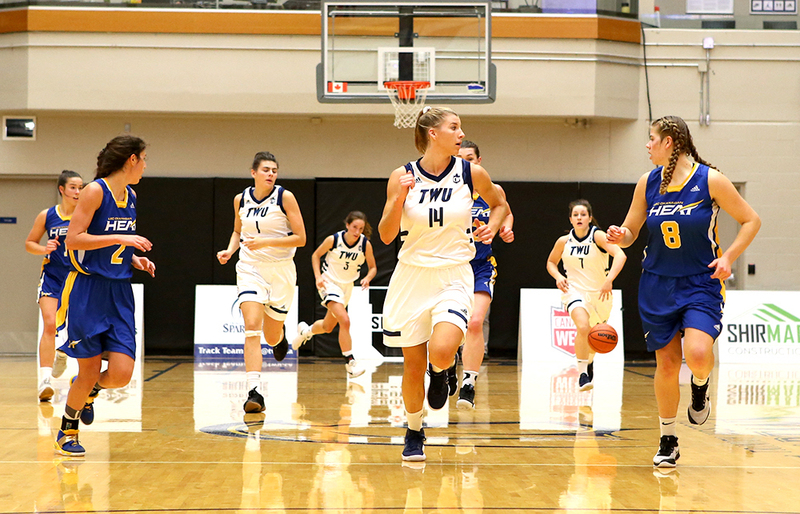 Against the Cascades, Trinity Western might have played its worst quarter of the entire season, turning the ball over eight times and trailing 17-5 after the first 10 minutes on 2-of-11 shooting from the field. In the process they made their home Langley Events Centre court look like an opposition barn filled with hecklers. Yet on the same night, they may also have played their best three quarters of the season, doing a complete about-face by shooting 26-of-50 (52 per cent) from the field and 12-of-13 from the free-throw line en route to scoring 70 points the rest of the way. For the Spartans, it wasn’t going too far to call it a revelation. 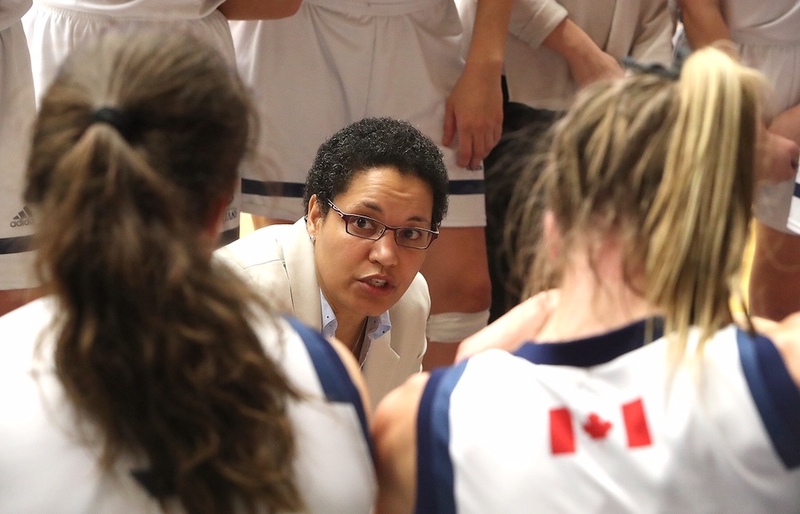 A 6-0 start which included a sweep of Regina (16-4) early in the season had Trinity Western looking like it was ready to build on last season’s 16-4 team, one which came a win shy of qualifying for the program’s first U Sports national championship tournament. An injury, however, during the season’s sixth game to star 6-foot fifth-year senior forward Tessa Ratzlaff wound up being among the most significant in U Sports women’s basketball this season. Ratzlaff may have only missed four games, a pair of weekend series leading up to the winter break against UNBC and Victoria in which the Spartans went 1-3. Yet upon Ratzlaff’s return after the extended winter break, Jean-Paul discovered just how different the team’s dynamic was from a season ago, because over the next nine games leading to Saturday’s regular-season finale, the roster seemed to reject any notion of chemistry in what would seemed to have been a simple plug-and-play proposition. The Spartans went 5-5 over those final 10 games, yet they were swept by both UBC and Lethbridge, the only two teams they faced over the second half whose RPI index wound up higher than their own. “We had two or three players that instantly started deferring, and Tessa felt the pressure to take over games early in the semester,” said Jean-Paul of heavy load placed upon the shoulders of Ratzlaff, who nonetheless led the team in scoring (16.8 ppg) and rebounding (7.8 rpg) this season. Jean-Paul wants the context of the ’S’ word to be understood correctly. The proof seemed to be in the final box score last Saturday. Brown finished with a game-high 25 points, showing how dialled into her wheelhouse she was by shooting 6-for-10 from distance. Buckingham brought her in-the-details presence with five rebounds and five assists to go along with 19 points. Ratzlaff finished with 17 points, 10 rebounds and a pair of blocks. And Fransson scored eight points off the bench. And yet the Canada West’s play-in round, unlike the best-of-three quarterfinals which await its four winners, is an unforgiving 40-minute gambit. The internationally-flavoured Timberwolves, when they get the right match-ups, are an imposing group, especially as it pertains to the length-size-strength trifecta represented by 6-foot-4 rebounding force Vasiliki Louka (Greece), 6-foot face-up swing forward Madison Landry and powerful guard Maria Mongomo (Spain). Alina Shakirova (Russia), a potent scoring guard,is also part of the mix for head coach Sergey Shchepotkin. UNBC was performing at its full powers while TWU played without Ratzlaff in mid-November when the Timberwolves’ swept the Spartans (78-77, 83-54) in Prince George. And while significance of Ratzlaff’s absence in those games can’t be overstated in terms of paint presence and rim protection, from the Spartans’ perspective, nothing will matter come Friday if they are not first playing with the purpose, trust and joie de vivre which has made them the most successful group in the program’s history. “On Saturday, they realized that they were done with this, of always fighting from behind,” Jean-Paul re-inforced of lessons learned from the regular-season finale. She then added that there has been even more focus put on performing better in the Friday opener of the last few weekend series, as it best mimics the sudden-elimination playoff game they began to feel would be in their cards.